Thoughts, insights, and perspectives on the latest news, trends, and issues regarding architectural acoustics, environmental and industrial noise and vibration, and audiovisual systems design. 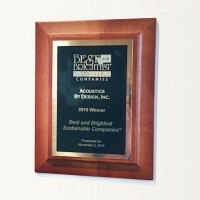 Acoustics By Design received the National and Michigan awards for the 101 Best and Brightest Most Sustainable Companies in 2016. ABD has won the awards every year they have been offered. 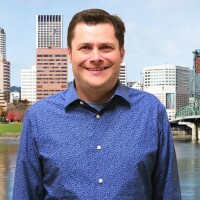 Erik J Geiger, CTS-D has joined Acoustics By Design in their Portland, OR office as Senior Audiovisual Consultant. When a construction project is underway, who is the best entity to hold the AV contract? Architects design buildings, and construction companies build them. That seems simple enough. While those are the cornerstones of a project, there can be dozens of other companies involved. 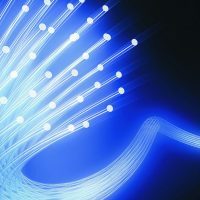 Why aren’t more AV projects using fiber communications? Are we just afraid of getting cut by the leading edge of technology, or are there legitimate reasons? Maybe there are just some myths out there that keep us from shifting from copper wire to fiber. 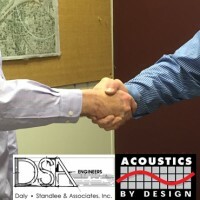 Acoustics By Design, Inc. and Daly-Standlee & Associates, Inc., two leading independent acoustical consulting firms, announced the merger of their businesses, effective April 1, 2016. 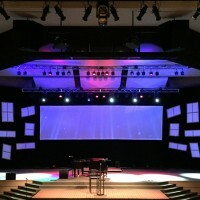 Acoustics By Design, headquartered in Grand Rapids, Michigan and Daly-Standlee & Associates in Portland, Oregon, provide a full range of acoustical engineering and consulting, and AV design services to architects, engineers, facilities directors, municipalities, industrial clients and building owners. We regularly hear from corporate clients regarding closed office privacy concerns. Acoustical challenges of an open office environment are manifold, but crosstalk between closed office spaces, or conference rooms, can be just as distracting. Typically, when these calls come in, we have a standard list of questions that we ask potential clients about their current environment to try to get an understanding of why they feel they have no privacy between closed offices. 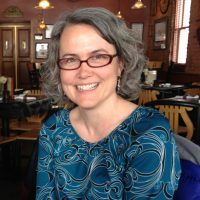 Sometimes when we work with an organization like a church, a school, university, or corporate client, we hear that they already have a tech guy (or girl of course). They’ve had, or recently acquired someone who is responsible for the technical systems. 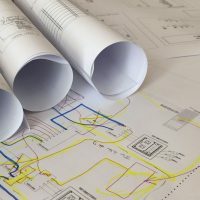 Now that a larger project has come up, the question is inevitably asked, “why should we hire a technical systems designer, when we already have a tech guy?” It’s not that your guy isn’t awesome at what he or she does. It’s actually a completely different discipline. Unfortunately, sometimes it’s the walls, the floor, or the ceiling. 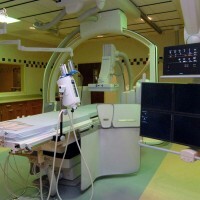 It seems like every hospital I’ve visited lately is under construction, renovating their current space or planning for large additions. With all the changes, it’s easy to forget about the “unseen” aspects of the design, such as Mechanical Noise and Vibration Control. When most people hear about the Acoustic Standards in the LEED for Schools Rating System (LEED v4), their eyes start to glaze over like a pair of day-old Krispy Kremes. With over thirty pages of detailed acoustical design criteria, the ANSI Standards are a force to be reckoned with. 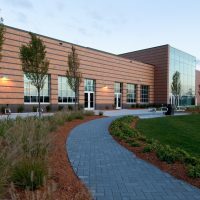 What are the basic principles of acoustical design that will “LEED” to enhanced learning environments, happy school board officials, and of course… impressive LEED scores?